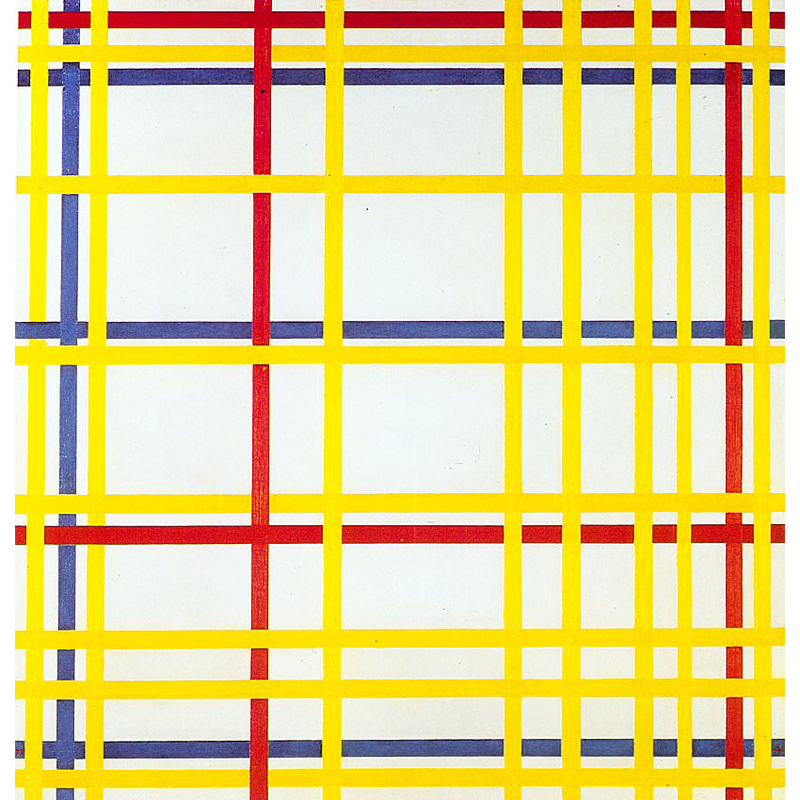 The paintings below trace Piet Mondrian’s development as an abstract artist over a period of thirty years. 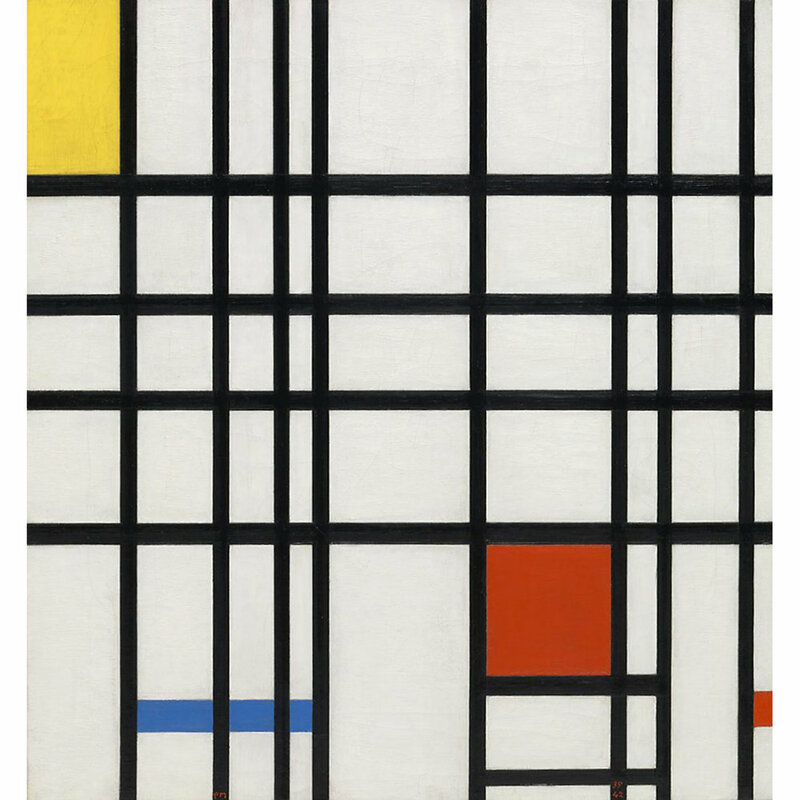 They are arranged in reverse chronological order, beginning with Mondrian’s final completed work (Broadway Boogie Woogie, 1943) and concluding with one of his earliest abstract pictures (Composition in Oval, 1913). Each picture links directly to its audio interpretation (along with additional information on the artist’s interpretive process, if provided). If there is more than one image of the same painting, there is more than one interpretation.